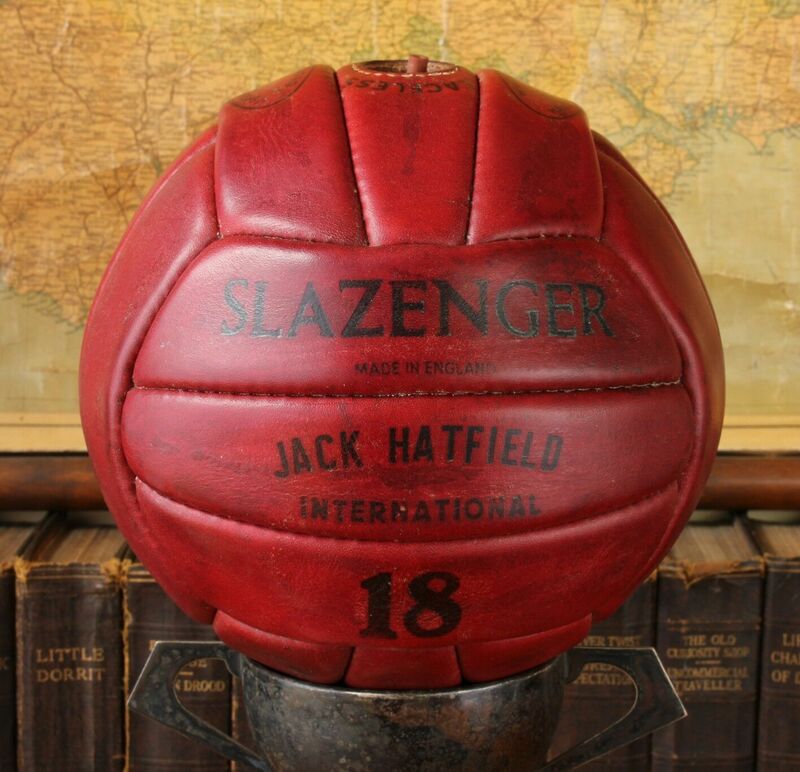 This unusual and rare vintage Slazenger Jack Hatfield International football is made of thick and heavy Red leather and features a new at the time "Laceless" bladder system. 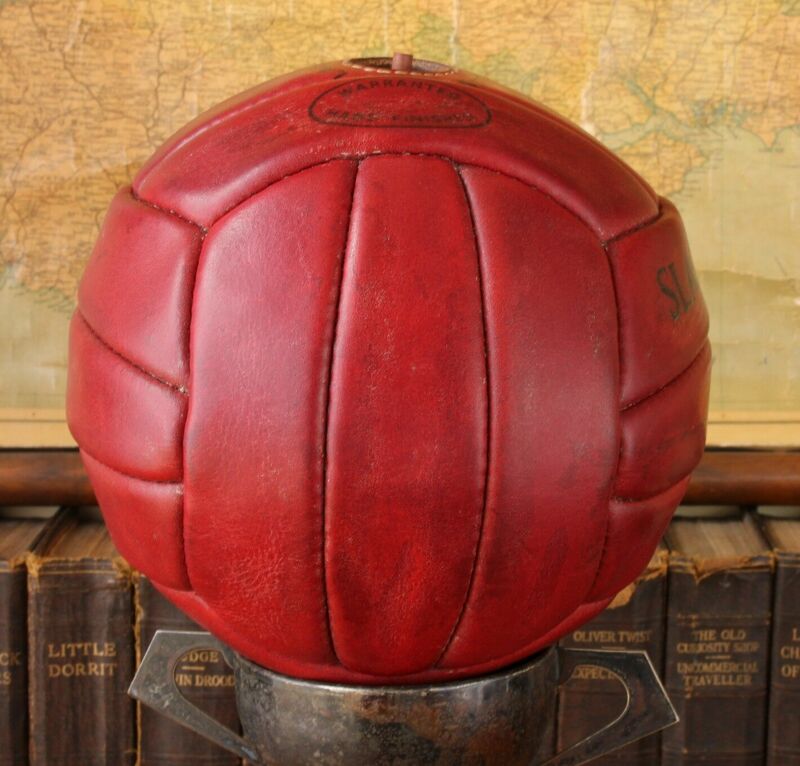 This interesting football which dates from the 1950's / 60's is an 18 panel design which was Made in England. The bladder has been replaced with a new one which is inflated and holding air. 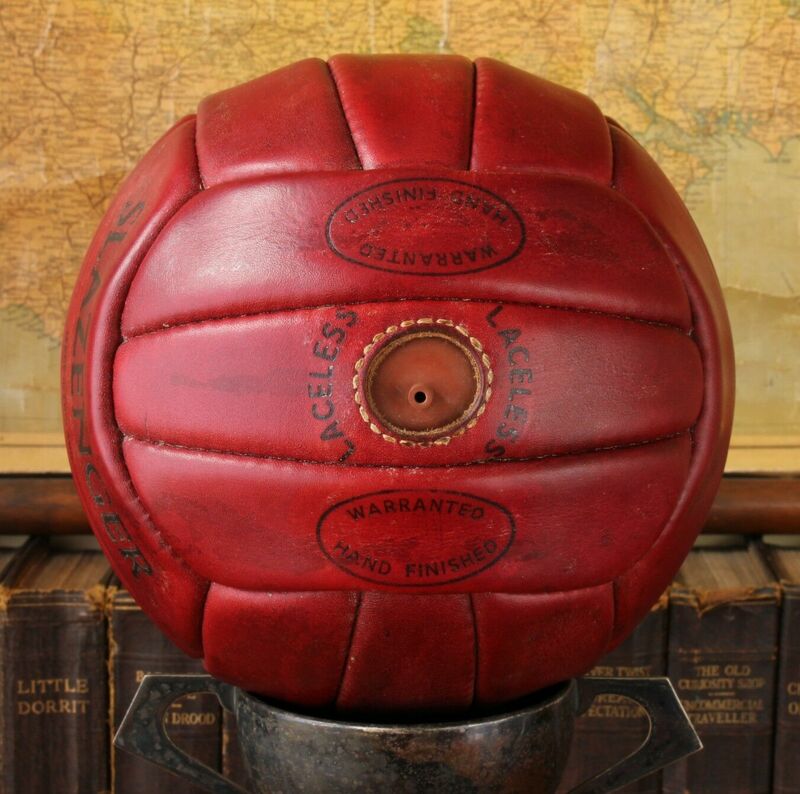 I obtained 4 of these footballs which came from a sports shop that closed down. Each one is slightly different. 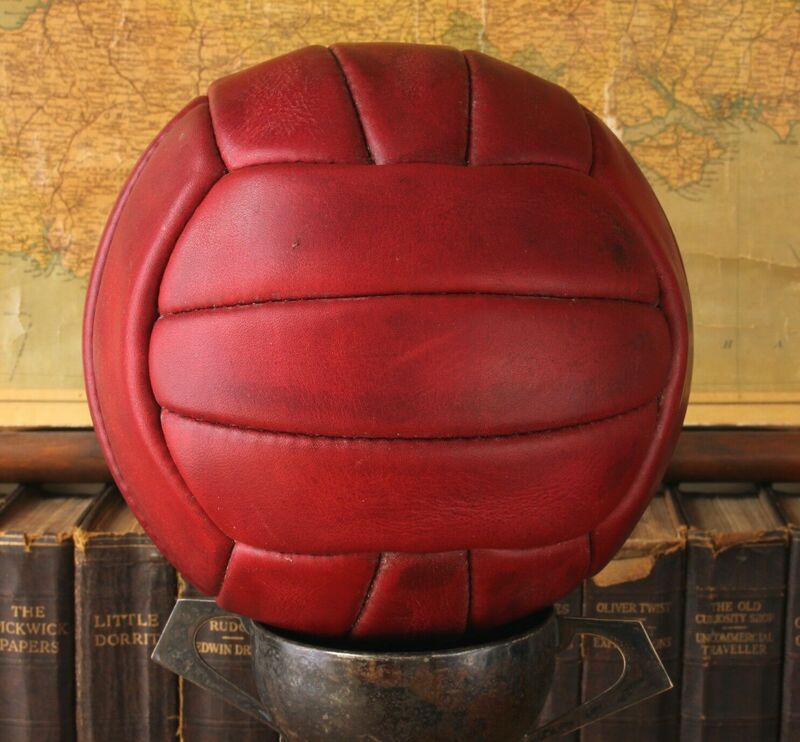 This unusual red leather ball looks stunning on display and would make an interesting collectable display ball. 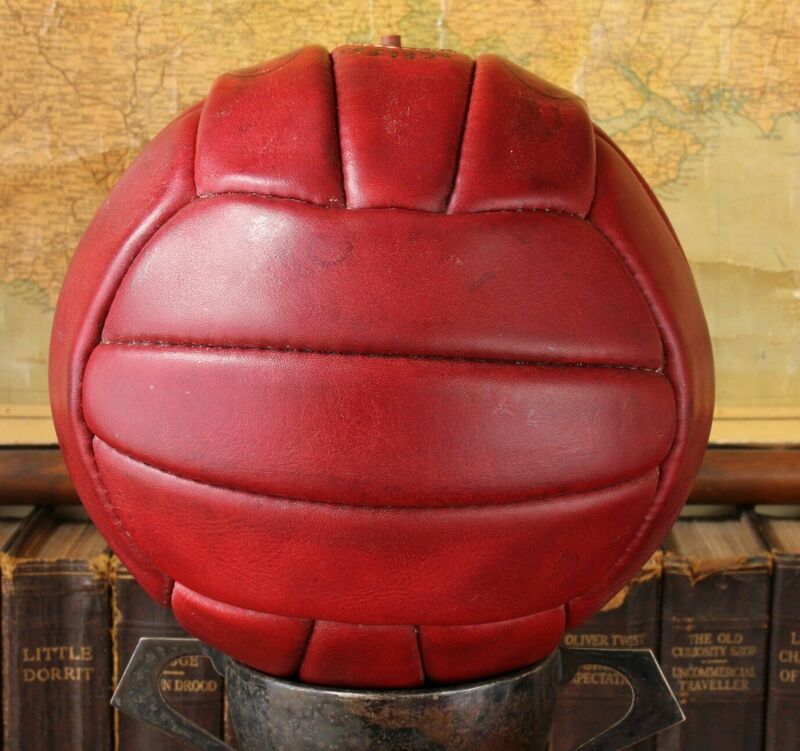 Condition: Very good used vintage condition with some light scuffs, scrapes, scratches and marks. Stitching on panels is very good. 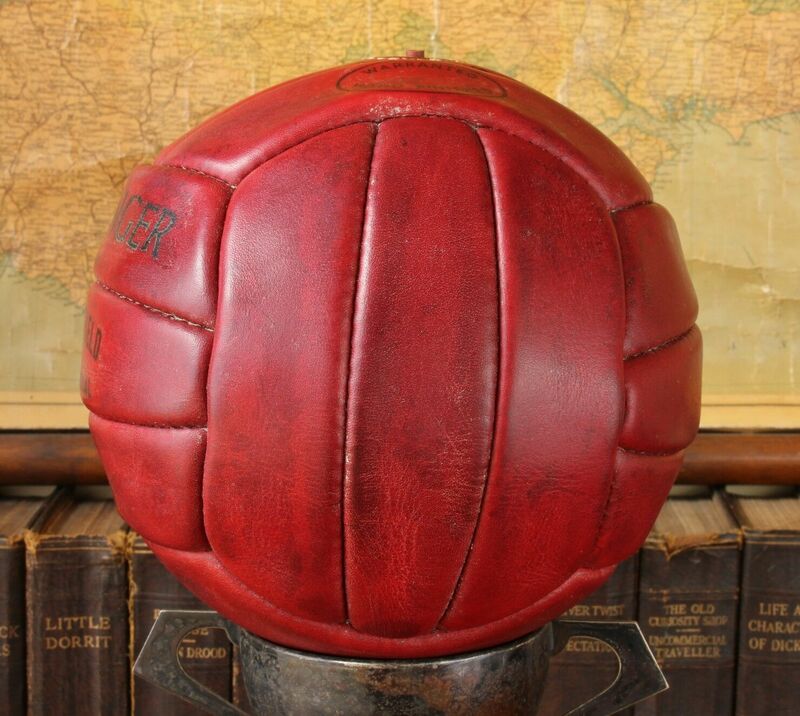 A new bladder has been fitted which is inflated and holding air. Please see all pictures.